Varying from 70 - 6 cm in diameter, this is a 4 octave spanning, truly gigantic tuned orchestral gong collection. Meticulously sampled in an anechoic room with up to 10 x roundrobin and 8 velocity layers in lots of different articulations. Mysterious & different, yet well tuned and chromatically playable! Our vi has been discussed at length at VI-control, take a look at user reviews and more here. We've captured these instruments in immense detail, in Audio Ease's real anechoic chamber, very close. This makes for a new experience, it sounds like you're in front of real instruments! - Pattern / Patch browser as part of the instrument. - Real anechoic recordings meaning that the gongs can be convincingly placed in various venues using your reverb of choice. No reverb on reverb sound. - Gong machine: The Gong Machine plays back organic sounding complex patterns using different articulations. - Timbral Variance Round Robin parameter makes for a bigger timbral diversity when set higher, by repitching other gongs to the note played. Some 15 years ago i worked with a giant set of these gongs for the live music for a Dance performance. Bewitched by the exotic sound of these instruments, i did a sample session, but that didn't really work, i decided to wait for someone else's sampling effort. 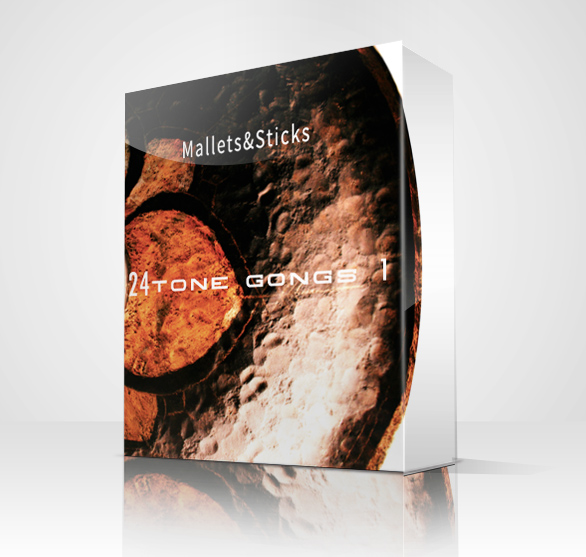 This is the first installment of the library, Mallets & Sticks. There are a second: Rubs and Bows, and a third: Percussives. All Together in the TRINITY bundle. Apart from a 'normal' bell hit, we've also sampled offcenter and rim hits, clamped bell and rim hits and clamp- and release sounds. With Mallet beater and drumstick. These can be intuitively played from the keyboard with pedalled clamp control. 24 Gb uncompressed / 5.4 Gb compressed sample content. 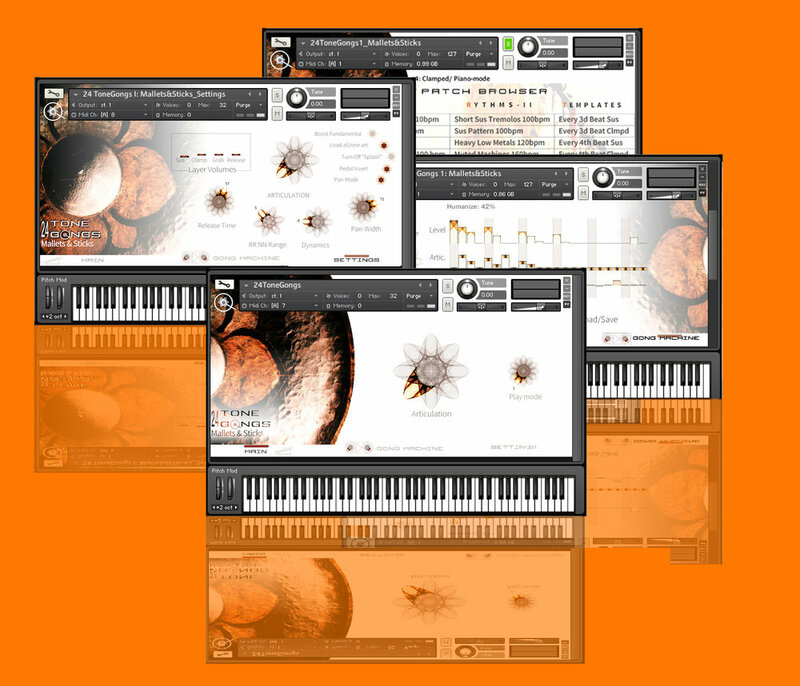 Kontakt 5.5.1 and later. Full version only. No Kontakt player version. Within minutes after purchase a unique download will be created for you with multiple watermarks, using an automated process. This will encode one big Tar(Mac)/Zip(PC) file for you, about 5.5 Gb in size. The advanced watermarking is for protecting your and our investment. Don't share this library!